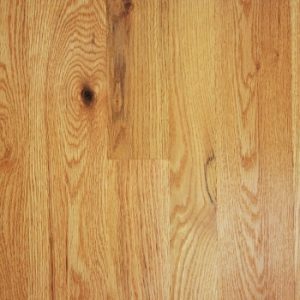 We have assembled this helpful list of questions to help you find the perfect hardwood flooring for your space. You’ve decided that you want the best hardwood flooring for your home. But maybe you’re a little confused by all the possible types you can choose. Fortunately, we have assembled this helpful list of questions to help you find the perfect hardwood flooring for your space. Hardwood flooring comes in a wide variety of colors from super light pine to the darkest walnut. The hardwood flooring you choose can help create the style of your space. To choose hardwood hardness, it helps to know a little bit about the Janka hardness scale. This scale rates wood species based on their ability to withstand wear and tear. The higher it is on the scale, the more resilient your hardwood will be. It is important to note that even the most resilient hardwood isn’t immune to damage, so it is extremely important to take proper care of your floors to ensure that they will last. Engineered hardwood is made by taking thin strips of hardwood and compressing them together, with the strongest layer on top. The pieces are pre-finished before they are shipped out. This technique helps the flooring resist damage from moisture. If your flooring is likely to have a lot of exposure to moisture, engineered hardwood may be better for you. Solid hardwood flooring is made of planks of solid wood. You can get solid hardwood pre-finished or unfinished. You should know where the raw wood that goes into your beautiful new floor comes from. Exotic woods come places outside of North America. For instance, some species might originate from South America or even Australia. Examples of South American species include Brazilian Cherry, Brazilian Teak, and Santos Mahogany. On the other hand, domestic woods come from North America. Compared to the exotic woods, domestic wood species tend to be much more affordable, and are usually a bit more familiar too. Red oak, maple, and hickory are all sourced from North America. At Jason Brown Wood Floors, our commitment to quality installation is clear in all that we do, which is why our customers consistently rate us as one of the top contractors in the region. We have been awarded Baltimore Magazine’s Best of Baltimore Award 3 times and have been proudly serving the Baltimore Area for over 16 years. If you’re ready to speak with someone about your hardwood flooring project, we want to hear from you! Contact us at 410-668-9131 or send us a message here. This entry was posted on Friday, August 18th, 2017 at 3:15 pm. Both comments and pings are currently closed.